← Success stories of small town girls in Asian Games. Suresh Sambandam seems to have a knack for being present at the right place at the right time and more importantly, with the right set of skills to make full use of opportunities life throws at him. Today, Sambandam runs a software product company, OrangeScape – the only Indian firm listed in Gartner’s Global Top 10 ‘cloud specialists’ along with giants like Microsoft and Google. The journey to the clouds was not without twists and turns. After class 12, Sambandam’s father gave him two options: join a medical college (with a burdening capitation fee of 5 lakh), or join the family’s realty business. He hated medicine. So opted to help his father. “I used to go to the registrar’s office as a 17-year-old to get some work done, only to get puzzled looks from them,” says Sambandam. I bought McGraw Hill DBASE 4 book from Puducherry at a huge cost of 800 in 1992 and learnt it on my own, finishing 100 pages a day. I loved computers and had a feeling that this was going to be something very powerful,” says Sambandam. With the self-acquired knowledge, he made a small demo of airline reservation system which baffled his friends and teachers. And he realised his future lied in computers. Soon afterwards, Sambandam started his own software training institute. “My father gave 25,000, but he did ask me when will I return the money,” says Sambandam, smiling. After couple of years, and with the business not picking up, he quit, returned his father’s investment and headed for Bangalore in search of a job. 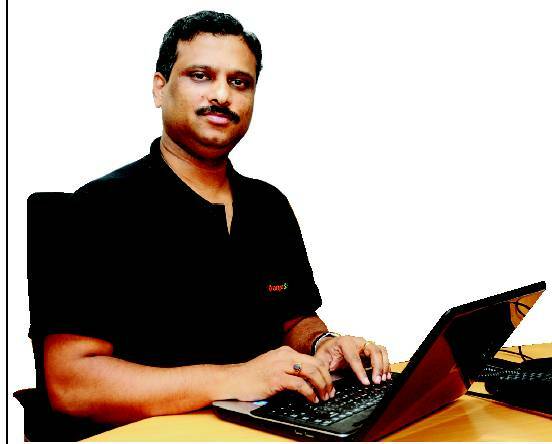 In 1994, Bangalore was yet to get the IT tag and he landed a tech job for 5,000 per month. In the two years with the firm, he picked up Java, a programming language, and that helped him get a call from industry giant Hewlett-Packard. “They (HP) were looking for someone who knew Java. I can say that I learnt everything from HP. It was here that I was introduced to Rulebased computing that was going to play a major role later,” says Sambandam. In 2000, he left HP to join Selectica, a new Silicon Valley company. Within an “open and free environment”, Sambandam rose from a position of software analyst to director of e-insurance product division in a matter of two years. “Here I got the experience of building up a company. Also, I met Ayee Goundan, whose support has been extremely crucial in my journey,” says Sambandam. They made an insurance product which was considered one of the finest then. The product was soon bought by Accenture. But the IT biggie made the mistake of acquiring only code and not the team behind the project. “I knew right then that an opportunity was staring me. This was the best chance to star a company,” says Sambandam. As expected, Accenture came back and made a deal worth half a million dollars for the ‘insurance team’. From the 50 people who worked with Sambandam on the project, he hand-picked six of them for his new company, which he named Orangescape. “My idea was to bring Rule engines, which have been traditionally used in complex enterprise projects, to the masses. Of the six people I asked, four agreed to join me,” says Sambandam. One of the four, Mani Doraisamy, has made such an impact that he is currently the chief technology officer and also referred to as founder within the company. Orange scape, today, is recognised as a leading company in cloud computing globally and No. 1 in India. OrangeScape has more than 50 customers including global brands like Unilever, Citibank, Pfizer, AstraZeneca, Fullterton, among others. OrangeScape has also been featured as ‘India’s Rising Tech Stars’ by Forbes magazine. “After India, we have set our sights firmly on the US and the UK. We should do great,” says Sambandam. This entry was posted in Uncategorized and tagged Accenture, Cloud Computing, Cloud Computing in india, DBASE, Gartner’s Global Top 10 ‘cloud specialists’, Hewlett-Packard., Java, Orange scape, OrangeScape, Sambandam, Selectica, Suresh Sambandam, World leader in Cloud Computing. Bookmark the permalink. That was a great inspiration for me as a SaaS service provider. Keep it up. Well done. I am proud of you.